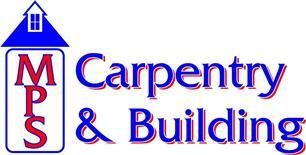 MPS Carpentry & Building - Builder, Carpenter based in Southampton, Hampshire. I am a time served carpenter with 24 years experience and pride myself with a top quality job and finish to a high standard. As a company we can offer a professional service in all aspects of the building trade, both internally and externally. We undertake your work with a dedicated team who are qualified in all their specialised areas. Fast reliable and friendly service.